In this post, we are sharing Docker image for OpenCV 3.4.3, and the recently released OpenCV 3.4.4 and OpenCV 4.0. In addition to OpenCV, the image also has dlib and a Facial Landmark Detection example code. Every day we receive a few emails and comments on our posts about OpenCV and Dlib installation. Even with the detailed and tested instructions, sometimes it is tough for people to get a system up and running. So, we have been thinking of providing a solution for people who have struggled with installation issues. One way to solve this problem is to provide a Virtual Machine (VM) with all the libraries installed. A huge downside of using a VM is the large file people need to download. Sometimes it can be 10s of GBs. A smarter and newer way to solve this problem is to provide a Docker image. Typically a Docker image size is much smaller than a VM. Our Docker image, for example, is just 1 GB in size (compressed size). In addition, it starts much faster than a VM and typically runs applications much faster compared to a VM. Docker is just one of those minimal things that can make your life exceedingly simple. Also, as we’ll see, the same docker image can be used on Windows, Ubuntu and MacOS. 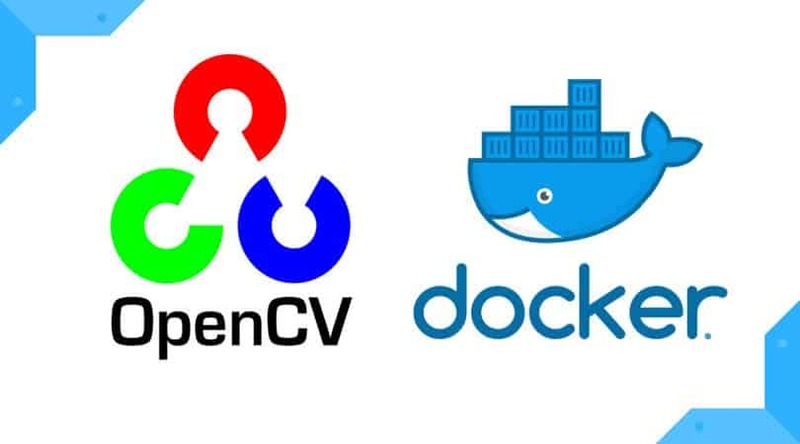 If you are stuck with OpenCV installation or if you want to try out the new OpenCV-3.4.4 and OpenCV-4.0 ( released on 20th November 2018 ), without actually installing it on your system, this docker image is the perfect match for you. 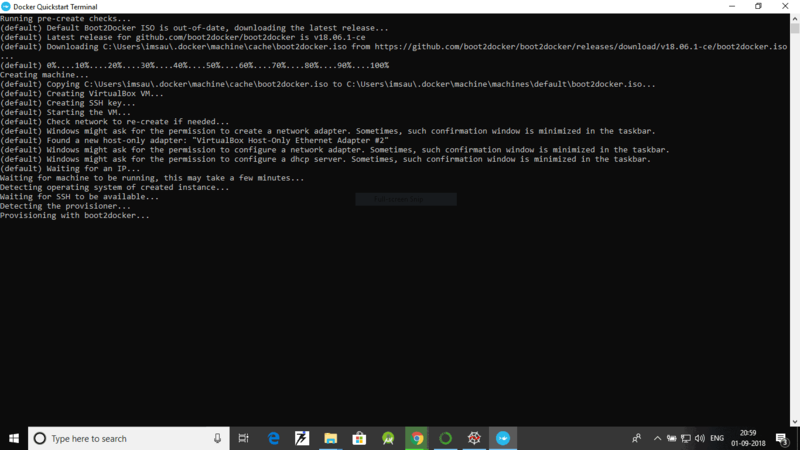 Section 1: How to install Docker on Linux, MacOS and Windows. 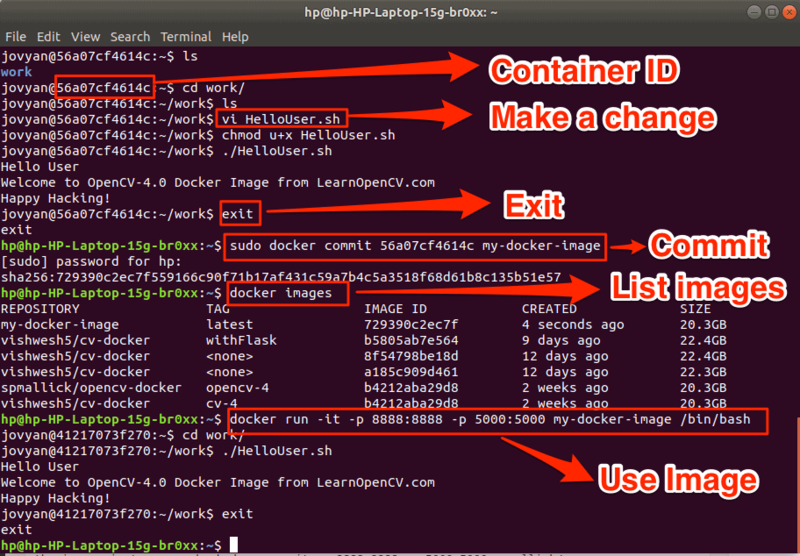 Section 2: How to use Docker image for OpenCV. This image also comes with dlib pre-installed. Section 4: How to make changes to a Docker image. In this section, we will learn how to install Docker on Ubuntu, MacOS, and Windows. To install Docker on MacOS desktop, first go to the Docker Store and download Docker Community Edition for Mac. Double-click Docker.dmg to open the installer, then drag Moby the whale to the Applications folder. Double-click Docker.app in the Applications folder to start Docker. You are prompted to authorise Docker.app with your system password after you launch it. Privileged access is needed to install networking components and links to the Docker apps. The whale in the top status bar indicates that Docker is running, and accessible from a terminal. 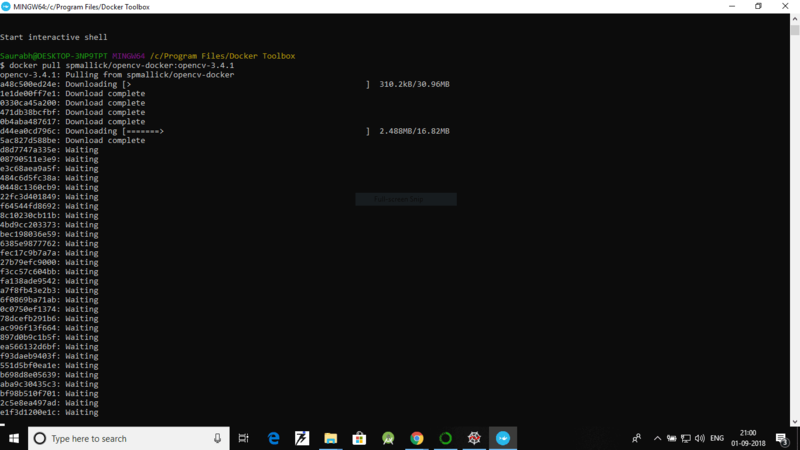 Download and install Docker Toolbox for Windows. The installer adds Docker Toolbox, VirtualBox, and Kitematic to your Applications folder. On your Desktop, find the Docker QuickStart Terminal icon. Double click the Docker QuickStart icon to launch a pre-configured Docker Toolbox terminal. If the system displays a User Account Control prompt to allow VirtualBox to make changes to your computer, choose Yes. The terminal does several things to set up Docker Toolbox for you. When it is done, the terminal displays the $ prompt. The docker image has been updated to enable X11-Forwarding and now also contain an example to test installation. Use docker pull to get the latest image. -v /tmp/.X11-unix:/tmp/.X11-unix helps in X11 forwarding so that we can use functions like cv::imshow. -e is used to pass an environment variable. -p sets up a port forward. This flag maps the container’s port to a port on the host system. The image has OpenCV 3.4.3 installed in /usr/local, OpenCV 3.4.4 in ~/installation/OpenCV-3.4.4 and OpenCV 4.0.0 in ~/installation/OpenCV-master. To test the installation of OpenCV and dlib on the docker image, we have provided a Facial Landmark detection example that you can try out. First, we make sure that we have the latest docker image. Next, we run the docker image as specified in the earlier sections. 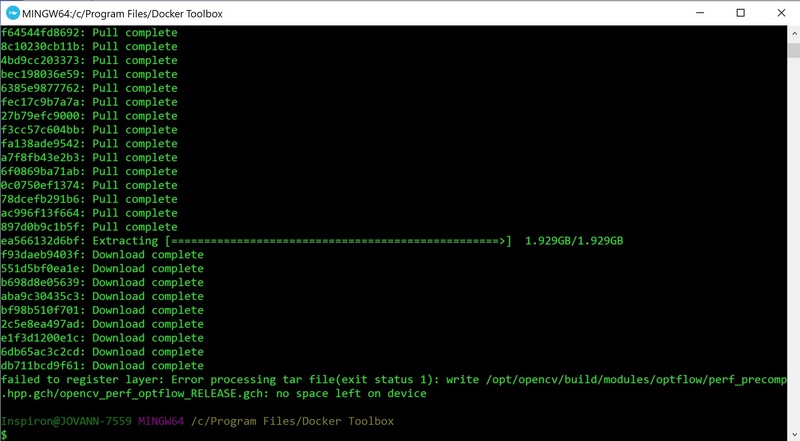 Once the docker container is created and is running, you will find 3 folders in /root/ – common, demo and installation. 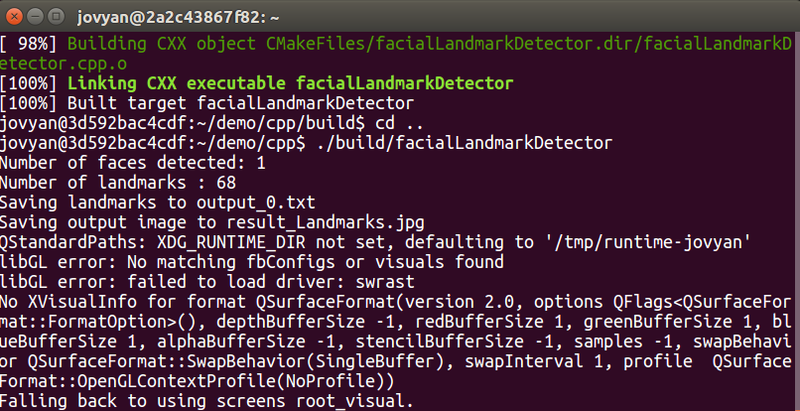 The demo folder contains C++ and Python version of the Facial Landmark Detection code. To run the Python script, follow the steps given below. The instructions are for OpenCV-4.0.0. For OpenCV-3.4.3 and OpenCV-3.4.4 just change the environment as discussed earlier. You will find 3 folders, one for each OpenCV version installed. The CMakeLists.txt file present in the folders can be used as a reference for building codes for that particular OpenCV version. By default, whatever changes you make in your docker image are NOT saved. Find the Container ID: The easiest way to find it out is to note the text following [email protected] in your docker container. For example, in the image above, the docker container ID is 56a07cf4614c. Also, note that Container ID will vary every time you use docker run to create a new container. Make a change: In the example above, we create a simple file HelloUser.sh that outputs some text when run from the command line. Exit: Once the changes have been made, we need to exit the container using exit command. Hope you have fun hacking with Docker! 🙂 If you have any queries, comment below and we will get back to you as soon as possible. I suggest that this article is updated to cover the use of docker ‘bind mounts’ to map a host folder to a folder within the container instance when run. ‘Bind mounts’ would be appropriate for the code folder that you want to run on the OpenCV version within the container. Committing to the container creates additional layers, which may be unnecessary, particularly when you iterate through the coding process. Just a side note, I think that both on Mac and Windows, docker is technically run within a VM. So performance may not as good as docker on Linux. Edited to correct volumes to bind mounts and add VM note. Thanks for the valuable suggestions. First for volume binding, we are planning to release a post about the features in near future as adding everything here would increase the length of post. How about the settings after installed opencv 3.4.1 for C++ environment? I have revised the docker images to include an example (check the folder demo). Kindly refer to cpp folder inside it to see the CMakeLists.txt file. Run the executable file from this folder (cpp folder). My ubuntu16.04 is i386 architecture. Your system has run out of space. Perhaps try increasing the memory in your system or if you are using VM, try allocating more space to it. After giving two above command I found error that, bash: activate: No such file or directory. I installed Docker Image in F: drive ………….